VPSDime offers reliable, fast and affordable VPS hosting. You get access to Linux, Premium, and Storage where you can choose storage from 6 GB to 2000 GB. It offers tons of features including support for popular Linux distros, powerful control panel, full root access, and full SSD storage. 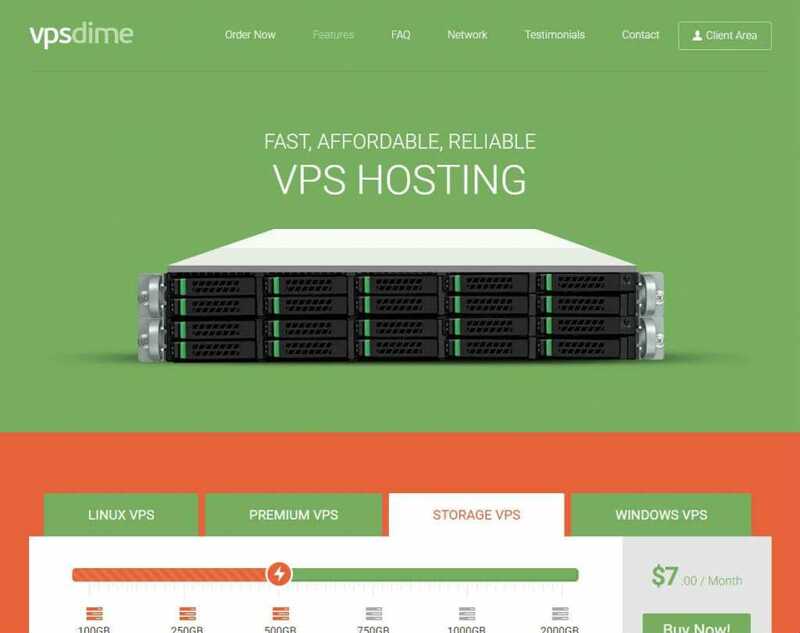 Anyone who is looking for an affordable VPS solution can use VPSDime. They are good at what they offer and have a wide variety of plans to choose from. Linux VPS – 4 vCPU, 6GB Memory, 30GB SSD, 2TB Traffic and 10Gbps Uplink – Starts at $7.00/month. Premium VPS – 1 dedicated core, 4GB memory, 60GB SSD Space, 2TB traffic, 10Gbps Uplink. Starts at $20/month. Storage VPS – 4 CPU, 2GB Memory, 500GB Storage, 4TB Traffic Limit, 10Gbps Connection. Starts at $7/month. They provide support services from the control panel and try to solve issues within 15 minutes of their occurrence.